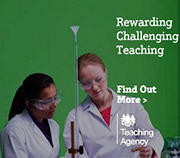 In the science department the Key Stage 3 pupils receive three hours of science lessons per week and are generally taught by a single teacher, there is therefore no separate science teaching at this level but individual modules are clearly identifiable as being biology, chemistry or physics. The department teaches according to its own schemes of work which are designed to make the lessons as practical as possible, whilst still maintaining a firm focus on traditional science concepts. Provision at KS4 is for double combined science or triple separate science. The most able pupils follow the AQA separate science courses. All pupils receive 6 hours of science a week over Years 10 and 11. At sixth form level we offer Biology, Chemistry, Physics and Psychology and Level 3 certificates in Applied Science are a popular and valuable addition to our sixth form provision. The science department also has close links with Innovia and each year a number of our sixth form pupils participate in research projects, working along side the company’s graduate scientists in order to gain valuable experience of science in the real world.